Too many pet owners are priced out of modern veterinary care. The veterinary industry is thriving. Spending is up, the pet family bond is growing, pet lifespans are increasing, euthanasia is down, One Health is here, practice valuations have never been higher, we continue to attract the best and brightest to our line of work, and we are consistently among the most admired professionals. That said Kodak, Blockbuster, Borders, Sears, Yahoo and buggy-whip manufacturers all once cited similar reasons for optimism. While the veterinary profession is not broken, it is in need of disruption. The practice of today looks much as it did 50 years ago. Compare that with the manufacturing and farming environments of 50 years ago. Both are virtually unrecognizable from their not-too-distant pasts. The alternative is creative disruption, a concept that exposes flaws in a current business model, highlights areas where improvements or changes are needed, and inspires adaptation of the business model for future growth. Let’s not be path dependent. 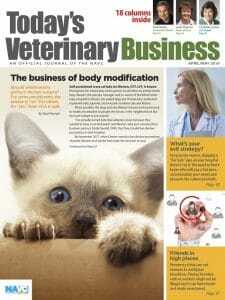 Let’s focus on the high cost of veterinary care in this article. I’m not saying veterinarians charge too much or are overcompensated. Far from it. However, the numbers are pretty clear. Large numbers of pet owners are not coming to the clinic and are finding alternatives to veterinary visits. The gap continues to grow between needed pet care and what pet owners can afford. U.S. household income adjusted for inflation has dropped over the last two decades. Meanwhile, since 1998, veterinary fees have increased at twice the rate of other goods and services. Call it vetflation. It’s not sustainable for continued success. Our industry has left behind pet owners with household incomes below $75,000 a year. An enormous number of bonded, loving pet parents have been priced out of veterinary care. We’ve left behind, by some estimates, half of U.S. pet owners. Meanwhile, we have done a great job of providing remarkable pet care to affluent owners. Our profession has benefited with growth rates far higher than the rest of the economy. However, that growth comes almost entirely from increased fees, not from increased visits. Anyone follow Idexx quarterly financial reports? A recent one showed that revenue at Cornerstone-using practices was up 4.6 percent, coming off a two-year average growth rate of 6.8 percent. That is incredible! But peel the onion back. Patient visits rose only 0.7 percent in the recent report. What’s worse is that low patient growth flies in the face of a growing pet population. This is not sustainable. We have priced ourselves out of the range of millions of pet owners. How do we reduce the price barrier to pet owners who want our services but are priced out? If you have a successful practice catering to an affluent clientele, cool. Congratulations. There is nothing wrong with that. However, we can’t all be going after the same relatively well-to-do clients. Eventually there’ll be too many lines in the “rich” pond and we’ll run out of fish. The less-affluent pond is loaded with fish. We may need to come up with different bait. I’m reminded of a Henry Ford story, perhaps a different version of the one you heard. Ford and his Model T automobile brought enormous disruption to the U.S. economy. In fact, Ford nearly destroyed the veterinary profession. At the time of the automobile’s introduction, veterinarians were in the equine transportation business. Many laud Ford with revolutionizing our economy through the introduction of the assembly line. That’s not the true story. He determined that at $500 a car, the majority of Americans could afford to purchase a Model T. The assembly line was the result and not the reason for the $500 price point and a car in every driveway. I’m not advocating for assembly lines in veterinary medicine. 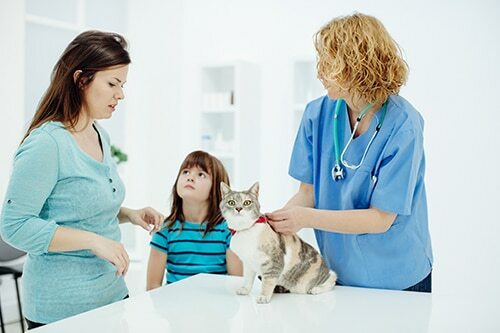 However, what is the price point at which more pet owners would visit a veterinarian? At what price point can our profession put car(e) in every driveway? $100 a year? $25 a month? $100 a visit? I don’t know, but once the price point is determined, how do we back into a care-delivery model to meet the need? I had dinner with a good friend, fellow baby boomer and partner in a large accounting firm. While discussing disruption, he mentioned the introduction of electronic spreadsheets early in his career. Imagine an accountant’s role before spreadsheets — hours of tedious calculations committed to paper. One could easily have predicted the fall of the CPA industry due to the efficiencies of Excel. As my friend told the story, what happened was that accounting became much cheaper. Far more consumers could afford a CPA, and the accounting industry thrived. What Model T-like components need to go into the veterinary “assembly line” to enable millions of new pet owners to benefit from veterinary care? How can we as a profession become more productive? Not work harder or for less compensation, but become more productive. Price isn’t the only barrier to care, but it’s a big one. This new veterinary assembly line could include productivity improvements like wellness plans, pet health insurance, employer-paid pet care, high-volume limited-care models, telemedicine, veterinary nurse practitioners, private/public partnerships, pet care tax deductions, philanthropic subsidies and more. Let’s get creative. Let’s disrupt! Imagine the upside. Pet visits increase. More pets live longer, happier lives. Society benefits from increased pet ownership. Veterinarians see more patients, generate more revenues and enjoy higher compensation. A virtuous cycle. How do we get there? How do we remove barriers to care for less-affluent households? We can figure this out. If we don’t, someone else will. Creative Disruption columnist Dr. Bob Lester is chief medical officer of WellHaven PetHealth, a former practice owner and a founding member of Banfield Pet Hospital and the Lincoln Memorial University College of Veterinary Medicine. He serves on the North American Veterinary Community board of directors.